Save money on individual admission prices with a group booking. Prices apply to groups of 15 or more if booked in advance. These prices are for day entry only and do not count as an annual ticket. Advanced booking is essential for all groups. Payment can be made on arrival by cash, business cheque or credit/debit card. We apologise but we are unable to accept personal cheques. 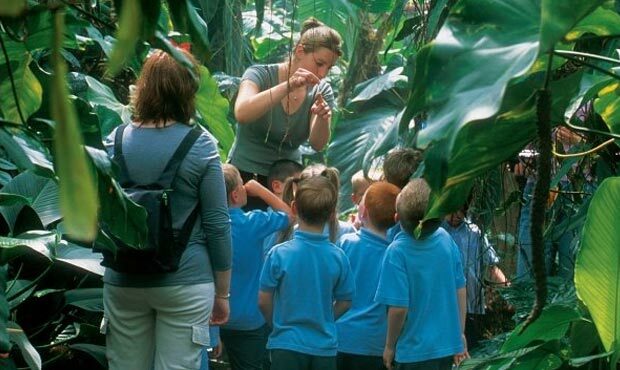 A trained guide can be on hand to help your group explore the rainforest and tell some of the fascinating stories behind our exhibits. Guided tours last about 50 minutes for up to 15 people, with up to four tours running simultaneously. Each tour costs £40.00 in addition to the admission charge. Guided tours must be booked in advance of your group visit.